Invest Openly: What This GHOST Tought Me About Investing? What This GHOST Tought Me About Investing? No, I am not talking about the famous 1990 Ghost movie by Patrick Swayze and Demi Moore! No, I am also not talking about any ghosts in the Ghostbusters movies. In fact, I am not even talking about any ghost from any of the Hong Kong movies/series. What I am referring to is an old Korean TV drama series called Ghost (or Phantom). It was released in 2012 (5 years ago) and is not an horror genre. It is a detective drama revolved around a team of cyber unit (computer forensics unit) with intriguing and twisting plots. Personally, I am not a K-drama fan and in fact this is the only K-drama that I managed to complete the whole series. So, what have I learnt from this K-drama series that I am trying to relate to investing (stock in general)? 1. The way I chanced upon this K-drama series? As I mentioned earlier, I am not a K-drama fan, so how did I chance upon this K-drama series and got hooked ever since? It all started with a fantastic and superbly acted horror movie called "The Wailing" (2016) which I watched on the New Year Day. 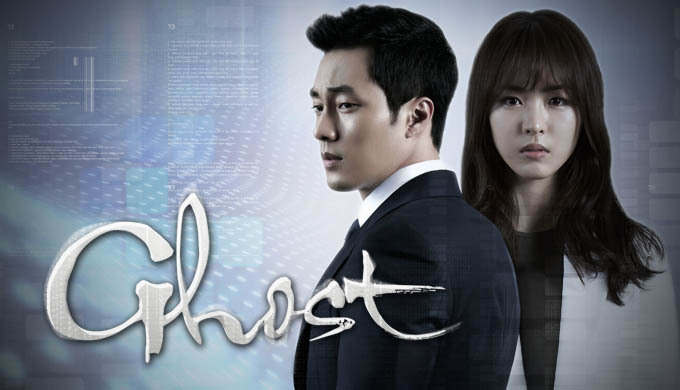 The superb performance of the main actor (Kwak Do-Won) immediately caught my eyes and after a brief "research" on his previous works, it lead me to this gem (Ghost), of which he won the best supporting actor in one of the Korea Drama Awards. As they said, the rest is history. The Wailing - If you are an horror movie fan, you got to watch this!!! If you think about it, it kind of resemblance on how many retail investors chanced upon a gem stock (value buy) in the massive sea of stocks. Usually, it started with one company that lead us to yet another some-how related company(ies) that we found value in. For example, you might be invested in Company A and satisfied with its performance (value), after reading through their Annual Reports and related market news, it might leads you to dig deeper into its partners, suppliers or even key customers, of which, some of them might just be another gem. So, keep digging (researching) as there are always gems waiting to be uncovered. One of the reason that I managed to complete the whole series in (my) record time (20 episodes in 1.5 weeks) is because of its intriguing plots and twists. In one episode, you might thought that the Good is winning the "race", next, they are at wits' end (fighting for their lives). The key? Both are constantly digging out/uncovering the new (or hidden) trace of information and made quick and informed decision/action out of it. The good vs evils continue to outwit each others numerous times throughout the show. Of course, at the end, the good wins but it is a hell of the ride. Ain't stock market work the same? At one point, your counter(s) might be shooting up the roof with better-than-expected business results etc, next, they are tumbling down because of the weak micro-economic news (or whatever). The Ups and Downs will continue regardless of how hard you evaluate the counters. Having said that, it is important to constantly making use of the new set of information like the quarterly business results, pertinent micro-economic news etc.. to make decisive decision whether to continue to hold, add or release. Of course, we are not in the TV series setting whereby the good always win but with that momentum, I am sure we will have a better chance in winning. In any case, we can't win all the time! Have you seen any good movie/series recently that set you thinking? Yup! Indeed, it was a great catch up with you, CW888 and Derek, let's do more gathering after my trip. You Have Shared Here nice Article . . .Now, let’s look at the positive side of this! It can be moneymaking for investors and traders if they invest regularly in the smart and cautious way and get SGX stock tips (www.equityprofit.com) or advice for their equity market investment. Quicker you understand the importance of words of the wise, sooner you will reap the advantage.